The idea for a giant residential cruise ship perpetually sailing around the world belonged to Knut Kloster Jr., the Norwegian shipping heir whose family pioneered the modern cruise industry. Construction began in 1997, but financial problems forced Norwegian investors to slash their original plans for a floating juggernaut, instead settling for a 43,000-ton, 12-deck vessel comparable to other cruise ship sailing the Caribbean. 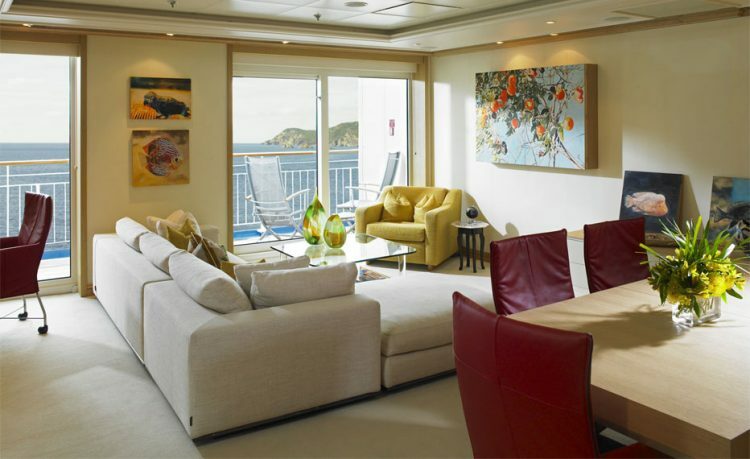 Completed in 2002, The World failed to attract as many residents as Kloster had hoped, and bankers WestLB AG and Zurich Financial Services Group soon took control of the ship’s operator, ResidenSea, from the original investors. And that’s when the real problems began. 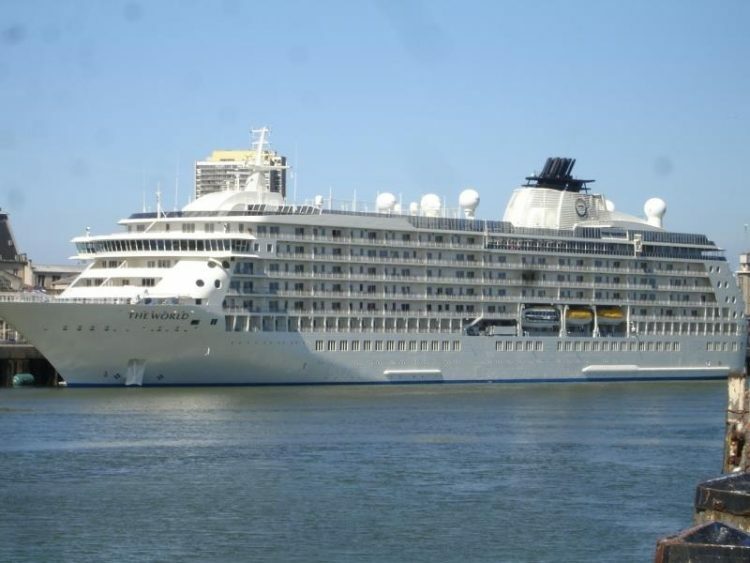 In order to limit losses, the bank-owned ResidenSea, started renting out the unsold studios and apartments aboard The World to regular tourists, which didn’t sit well with the dozens of families who had paid millions for a permanent residence on the ship. “How would you feel if you spent millions for an apartment and people who spent a few hundred dollars had access to the same facilities as you?” William Scott, a retired New York advertising executive, told the Chicago Tribune in 2004. He and other residence owners felt like their Rolls Royce had suddenly been turned into a taxicab. Horror stories about tourists getting so drunk aboard The World that they would fall down the stairs, and jewelry salesman turning the pool area into a trinket bazaar by constantly harassing the wealthy residents, eventually convinced the families that called The World home that something had to be done. They formed a counsel and decided to buy out the unsold apartments from the banks, to get rid of the tourists and decided their own fate going forward. After a heated negotiation, they paid $71 million to buy out the European bankers, taking over 37 unsold apartments with one to three bedrooms and 86 studios. From that point on, the residents of The World controlled the ship themselves, eventually selling the residences to other rich people attracted by the idea of going on a permanent vacation. 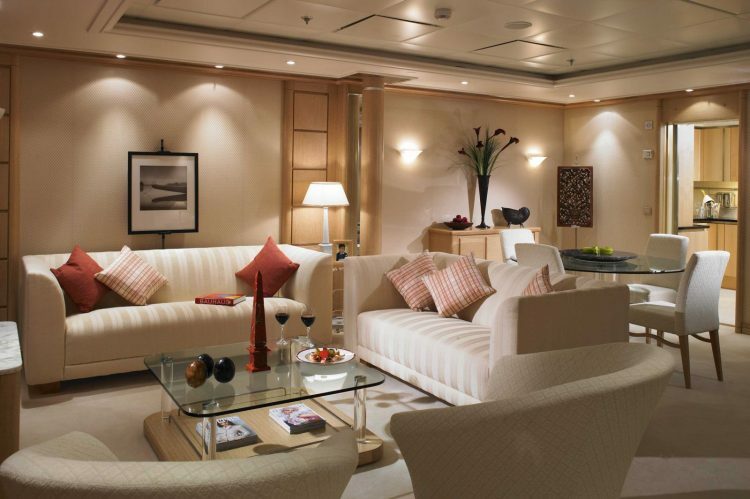 The legendary vessel features 165 homes, ranging from one-room studios currently priced at around $1 million, to luxurious suites with an estimated price tag of over $13 million. They are owned by around 130 wealthy families, with a small number of them being resold whenever they become available. But just in case you have a few millions lying around, you should know that owning a home on The World is a long-term financial commitment. Residents pay annual maintenance fees of more than $100,000, as well as thousands more every month for amenities. They seem to think it’s worth it, though. The average age aboard The World is 64 years old, but around 35% of residents are under 50. For most of them, the ship is their home away from home, spending three to six months aboard and renting the condos out the rest of the year, but a few actually live on the ship permanently. 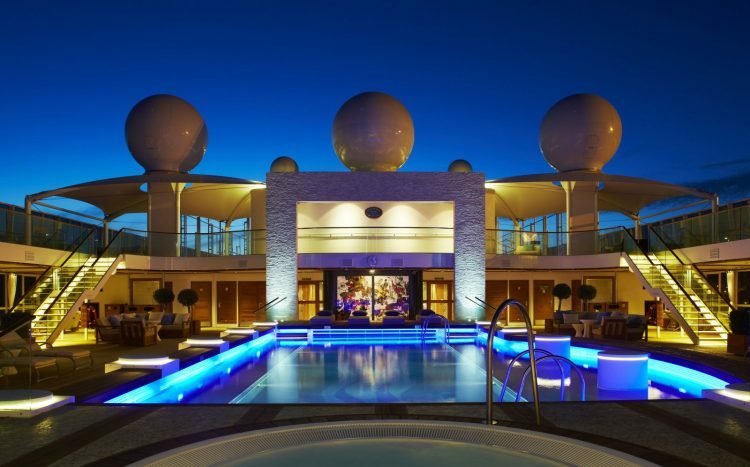 Apart from visiting the most beautiful locations on Earth, residents of The World also have a host of entertainment facilities at their disposal aboard the ship. 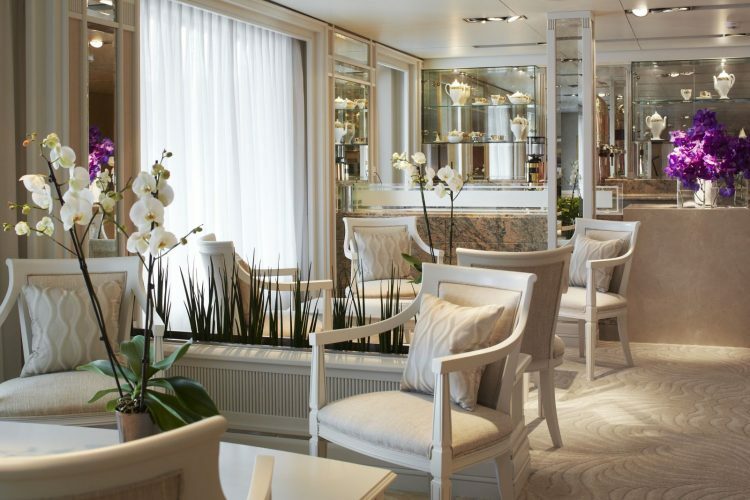 They can choose from six restaurants, several bars, a tea room, multiple pools, golf simulators, the world’s only life-size tennis court at sea, a library, cinema and a 7,000-square-foot spa and gym, among others. Homes on The World may not have been very appealing to buyers when it set sale in 2002, but the demand for permanent residences on the sea today is so great that certain room sizes actually have waiting lists. 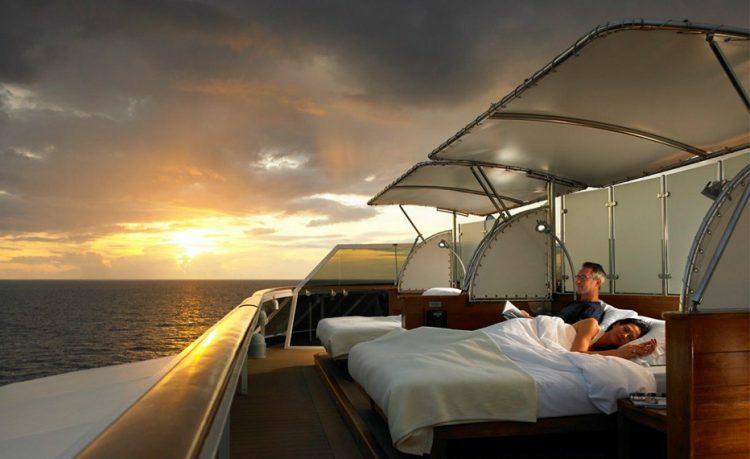 Its eventual success has inspired investors to build their own residential cruise ships, the most famous of which is The Utopia. The Utopia, a 200-unit condo cruise ship almost twice the size of The World, was originally supposed to be completed in 2016, but it has yet to set sale. It cost approximately $1.1 billion to build, making it one of the most expensive ships in history. However, unlike The World, it will also have a “hotel side” – a completely segregated 200-suite area for temporary visitors. Hasn’t history taught its operators anything? 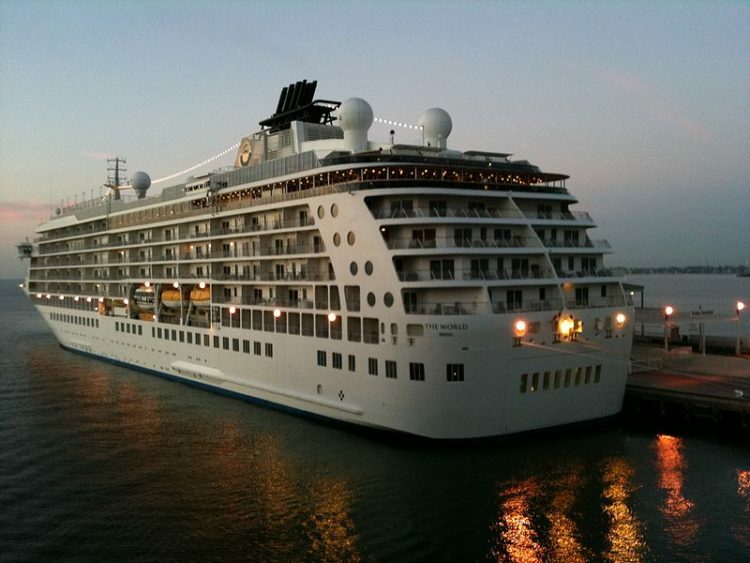 “We can’t be a residents’ ship as well as a cruise ship,” Robert Sabes, a Minneapolis investor and resident of The World, said in 2004. “It’s unfortunate the initial founders thought the two could coexist.” Well, if The Utopia’s layout is any indication, it appears that some people still think that. It will be interesting to see if it works out this time around.